Two beautiful fall wedding weekends in a row! This one took place at the Krippendorf Lodge in Milford, Ohio. Kind of in the middle of nowhere, but definitely worth the drive. It was a gorgeous day, with some lovely fall foliage. During the cocktail hour, Todd and I slipped away for some exploring in the woods. Can I just say that Todd looks soooo good in a suit! I try to get him to wear it every day, but he's not the biggest fan. So when he does wear it, I'm sure to snap some photos. Since I am usually holding the camera, I let Todd take a turn. He's got talent! Of course, we took pictures of the desserts! There was a small cake that the bride and groom cut, but the guests enjoyed these delicious mini cupcakes. So adorable! We tried the green tea, s'more, and pumpkin. 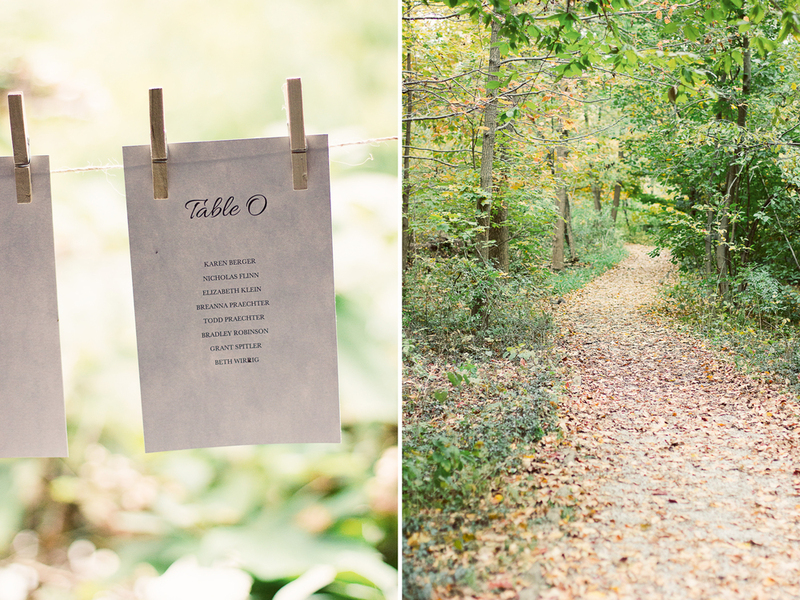 If you are looking for a fun date night, dress up and take some photos in the woods. And thank you self timer and rock wall for snapping this last one of us. It's one of my favorites.